It was a simple question: “How about about a pop up?” That was early October and we had all just about recovered from a hectic summer season. Just a few busy weeks later, we opened the doors and welcomed the first guests to Food From the Fire. Our first step was to persuade Mark and the fabulous team at Perth’s Bike Station (housed in the old Peddies building at the top end of the old High Street) that to have a fire themed pop up restaurant in their 100 year old building was a great idea. Fortunately, those guys love a challenge as much as we do! As our diners arrived through the doors of the old, wood paneled office, they were greeted with our Pickerings Gin Smokey Negroni, infused with ice made from water smoked in our in-house smoker, and the site of this lovely old space transformed into a speakeasy bar, with retro style filament lightbulbs strung from the ceiling and the old filing drawers turned into pouring racks for our barman. Edging past ancient ‘No Naked Flame’ warning signs, which we’d tastefully decorated with pine branches and tealights (yes, really) they made their way into the main bike shopfloor, which we had transformed into a sparkling, festively decorated dinning room. Our amazing team then produced and served a 3-course meal, inspired by cooking on an open fire, something we’ve all done since childhood. There was torched North Sea Mackerel with green apple, samphire. On the side there was sourdough from the Aran Bakery and our own home smoked butter. This was followed by a wee shot of roast pumpkin & ginger soup and then there was Scotch lamb, supplied by DG Lindsay in Perth and marinated for 72 in yogurt, roast garlic and rosemary. We served it with coal cooked baba ghanoush and autumnal squash. 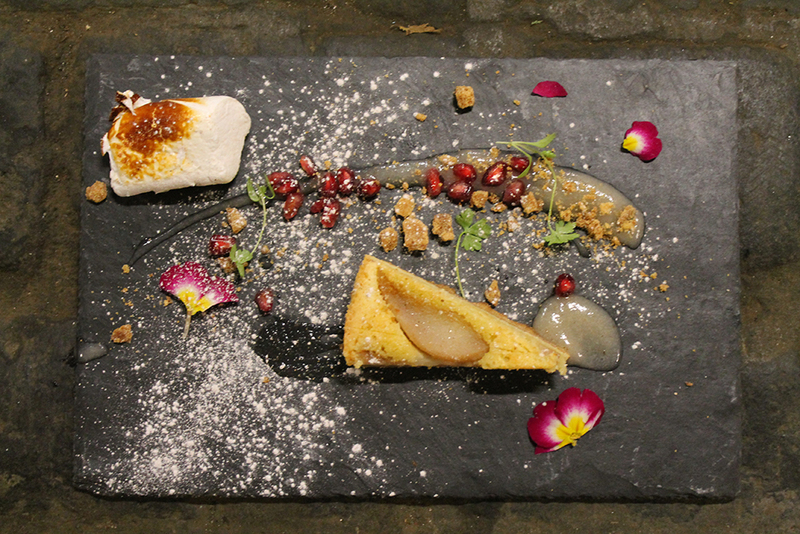 Finally we brought out stunning slates of almond & pear tart with a gorgeous sticky toasted, spiced marshmallow. All of the food was cooked on site, by our chefs, in the bike storage area, which we had transformed into a fully functioning field kitchen. We rarely go anywhere without one of our coffee machines so we were able to offer our guests a full range of barista coffees afterwards and we had wine and drinks a-plenty available in the cosy cocktail bar. So, a bit like a regular restaurant, but so very different, and only for 2 nights. We Lov good people and we like to think our people Lov working for us! 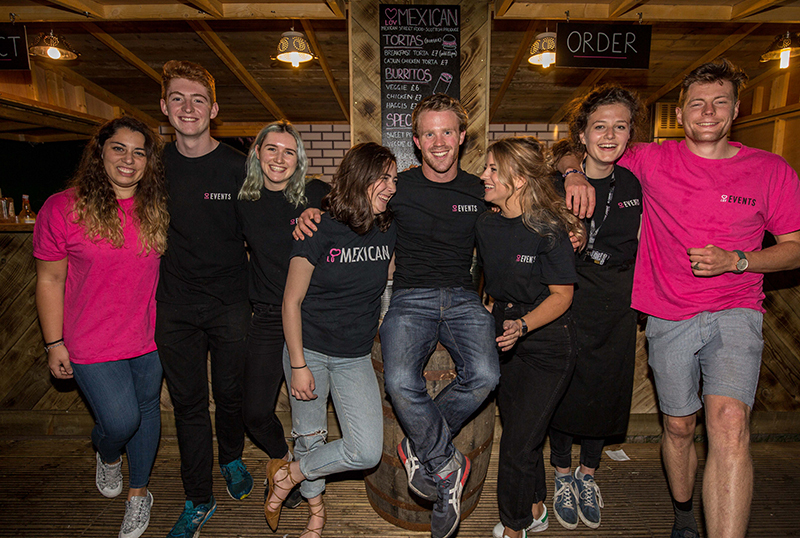 So, if you'd like to join our team, we'd Lov to hear from you. Simply send your CV to penny@loveventsuk.com with a note telling us why we'll Lov you.